I chose to study commerce in class eleven. I remember how I use to enjoy chapters of Business studies. My teacher had an interesting way of explaining theories from the book. He uses to state lot of real life examples, like what’s happening around the world. I remember that we were reading a chapter where there was a paragraph about E Commerce. I am referring to the year 2003 when at least in my city lot of people haven’t used internet at all. Discussion of a topic which we couldn’t have believed at that time was really something to shake us all. Guys snoring in corner came alive and were debating. My teacher said that there will be one day when everyone will be buying products online. In other countries it’s already happening and lot websites are coming up each day. I remember I said that it’s impossible for me to buy anything online. I wanted to check the product before buying, its expiry date and other details before actually investing in it. I was someone who until and unless don’t see the product, won’t buy by trusting on any virtual seller. And here I am today writing a blog post about same. I think it was cash on delivery option which revolutionize online market in India. E commerce has started taking its baby steps and it is growing each day. New sellers, vendors, websites are added to virtual space every minute. I have become big fan of online shopping over the years. Being true Indian I consider it’s my birth right to bargain about product price, haha. 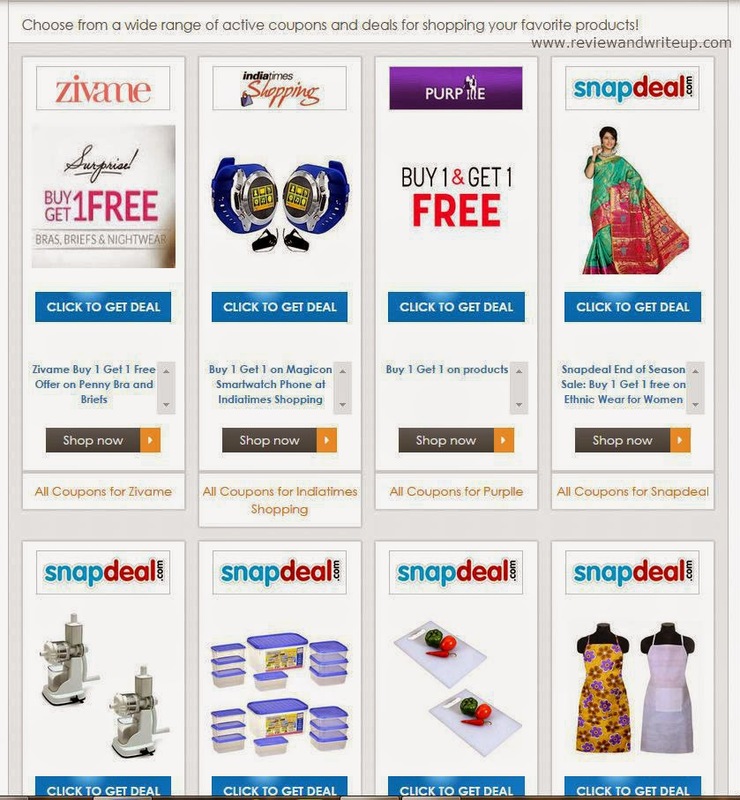 However online shopping doesn’t give us such opportunity, but there is other kind of perks attached in form of deals and discounts which goes the year round. I have this bad habit of browsing all available options and try to strike best possible deal. Words “Free” and “Sale” could make me jump out of my chair. With so many amazing websites available and everyday new ones coming up it’s so difficult to keep track of all on going deals. I was browsing for some good, authentic site where I could find deals related to all kinds of products at one place. Thanks to buy1get1 for doing that for all of us. When I first heard the name I thought that the website will be just about buy1get1 offers on various products. To my surprise there is so much more to it. Deals from whom? You will find deals from so many brands. You name any, you will find on website. The List is long and I can’t even add all. 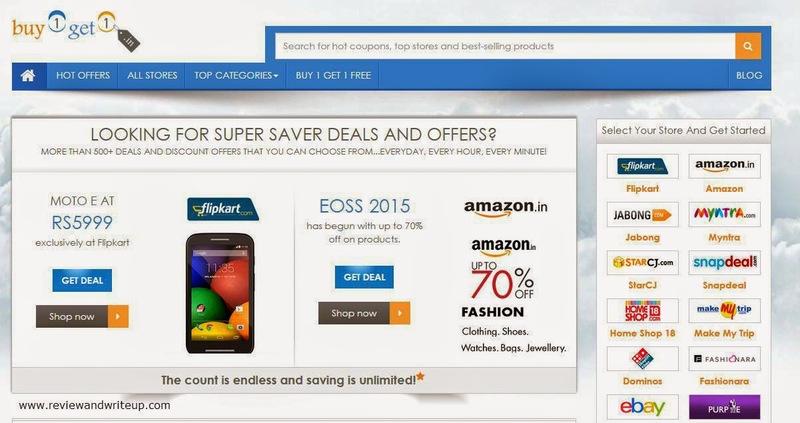 Main is Jabong, Myntra, StarCJ, Amazon, Goibib, Homeshop 18, MakeMyTrip and so on. Also you will find deals from Food Panda, Dominos, Airtel and list goes on. Not on talking terms with your beloved. Want to gift flowers to sort everything out, don’t worry you don’t have to spend much if you will go through buy1get1. When I checked the website for first time, I was quite impressed with its simple yet classy outlook. You don’t have to struggle in understanding that what this site is made for. The website is so quick to open and very user friendly. All deals are properly aligned and one can easily find what they are looking for. All active deals are displayed on front page. I like that they don’t keep expired deals on front page. Also the ads of the deals displayed clearly state that what this deal is all about. Like if it’s for getting flat discount. For some deals there are coupons activated like buy 4 get 6 free and stuff like that. I couldn't believe that I could find great deals on mobile phones as well. I am planning to buy new phone soon and would like to consider Moto E from Flipkart, killer deal man. Who doesn’t want to go for it. Like the other day I wanted to buy top, jeans and bag from Jabong. 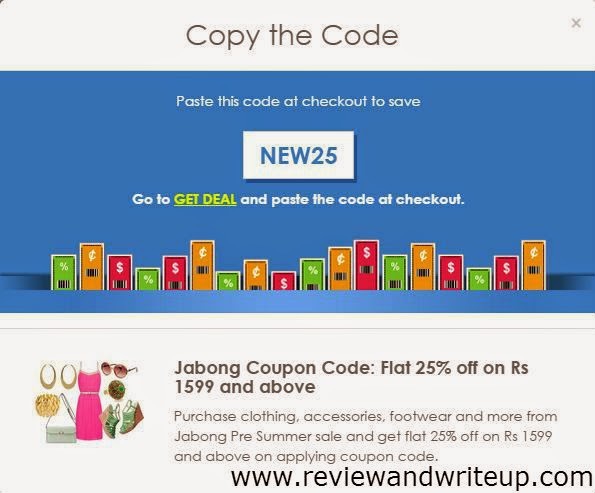 I chose my products from Jabong, went to buy1get1 clicked on the link, entered the code at time of checkout from Jabong and got 25% off, yipppeee. Super-duper savings, what else I could have asked for, haha. Then there is my favorite section buy1get1 free, which justifies the name of website, lol. You will find all kinds of buy1get1 deals there from variety of brands and products. Like there is something from zivame, purplle, snapdeal, flipkart. Who doesn’t want to get two products for price of one? 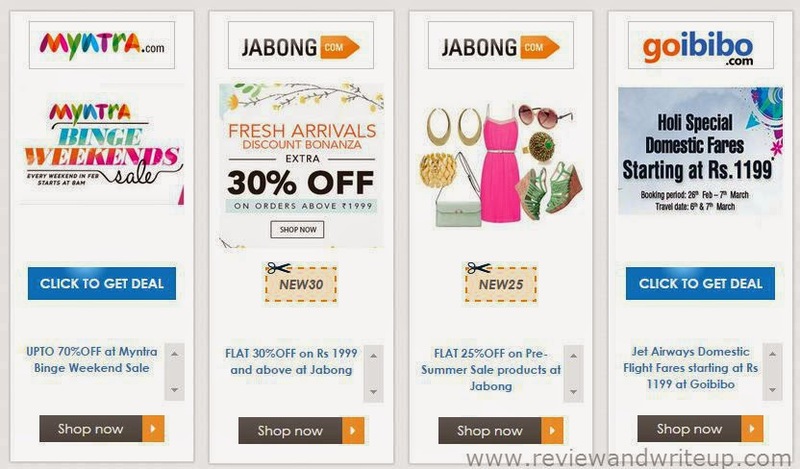 Also if you have website preference, like if you want to buy only from flipkart or Jabong or any other then on right side of home page you will find all discount coupons listed store wise. Ok suppose you go to website and you don’t know how to browse for perfect deal, whom to look for help. Don’t worry website have a section at the bottom of home page where you can find all kind of information which could help you in your search. Now you must be wondering that to get deals from the website do we need to register or subscribe or pay an annual fee or something. I will say no my dear you don’t need to do all of that. It’s as simple as surfing on google to get a deal from buy1get1. I liked the site so much that I couldn’t resist sharing it with all my readers. I think I have said enough so I will let you guys browse the website and I am doing what, shopping. R&W Recommendation - You will love it. Just browse to discover smarter shopping on your own. My experience was good and I hope that my readers will also have similar experience to mine.